Teknovation is the leading trade magazine when you want to reach the Danish metalworking industry as well as the Danish plastics industry. Staffed with some of the most experienced and skilled writers and editors in the industry, Teknovation carries relevant breaking industry news as well as in-depth coverage of machine tools and tools for metalworking, machines and tools for the plastics industry as well as new production methods and research results leading to high technology production capabilities. Each issue of Teknovation focuses on specific themes, such as metalworking, materials, welding, surface treatments, machinery components, etc. Teknovation is distributed to professionals and decision makers in the metalworking industry with a certified circulation of 13,447 every three weeks. 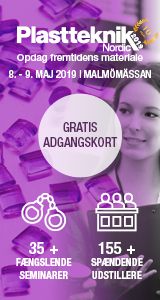 Press to download media information 2019 in pdf format! 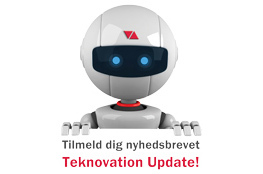 Teknovation is the official trade magazine for Industrisamarbejdet, the metalworking arm of the Confederation of Danish Industries. Teknovation collaborates with Gardner Publications Inc. in the USA, publisher of a.o. Modern Machine Shop, Production Machining, Moldmaking Technology, Products Finishing, and Plastics Technology. Visit Gardner Publications Inc.